Like Marathi, Punjabi, Jats, and Tamils are given respective homelands in the federated structure of India, Bengalis should be given their homeland — Bangalistan. Bengali language should be used in all official and non-official work all over Bangalistan within and beyond West Bengal. All Bengali immigrants should be granted Indian nationality without a question mark. The amendments to citizenship charter that were done in the years 1986 and 2003 need to be cancelled. The local Bengali youth must be given 100% employment as per Prout. Block level planning has to be introduced and agro industries and agrico industries have to be established. Agriculture has to be given the status of industry. The publication of advertisements and showing of TV serials, cinemas, etc., which are disrespectful to the dignity of women have to be stopped forthwith. The GTA agreement promoting outsider Nepalis' self-interests has to be rejected forthwith. In the entire north-east including Manipur-Assam, there is a systematic conspiracy to cancel voting rights of Bengalis and place them in outsiders' camps -this has to be stopped forthwith. 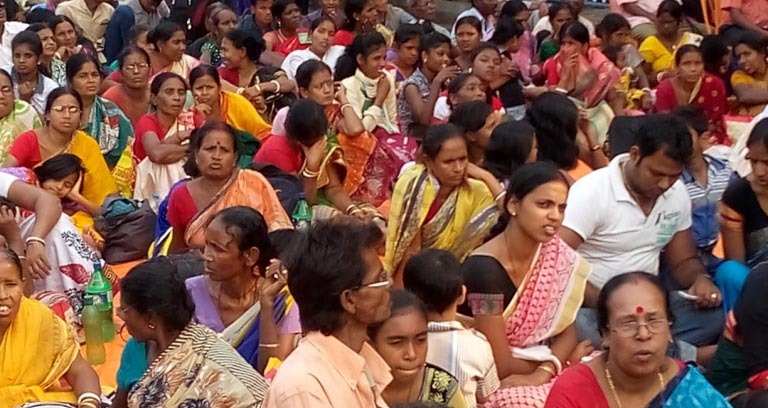 The AB Mahila (women) Samaj section at Dharmtala, Kolkata. Women form a strong, essential part of the AB movement. 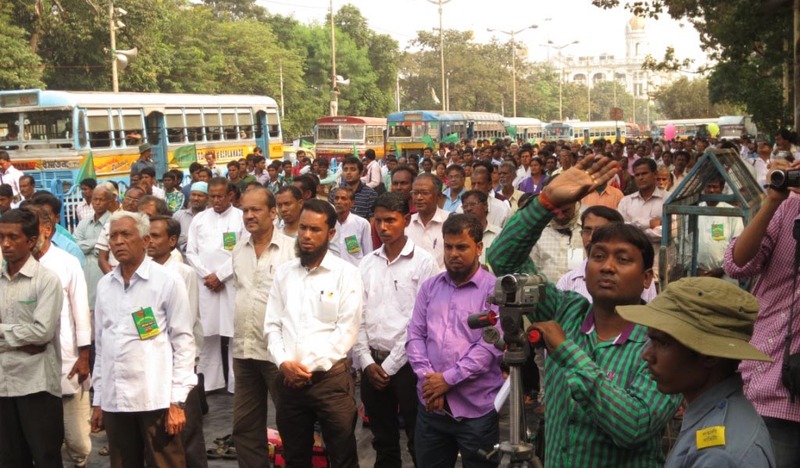 Following the recent election of Mr. Bakul Roy as AB Samaj secretary, the AB movement has resurged throughout Bengal. 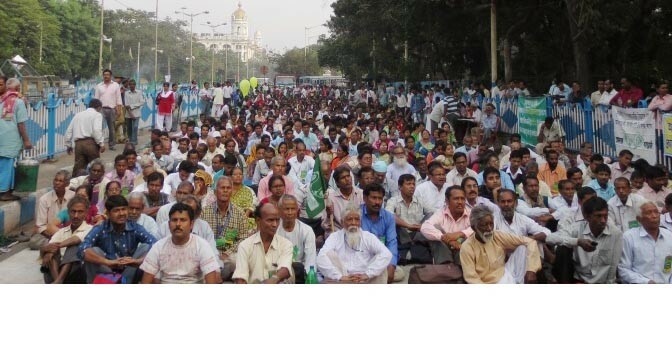 The 6000 strong gathering at Dharmtala even included representatives from the samaja's border areas including Assam's Silcher, Manipur, Jharkhand, Bihar, Odisha etc. After a chorus on Bangalistan by Spandanik (the cultural forum of Proutists samajas), representatives delivered power-packed lectures. Samaj worker Sadhan Purakayastha of Silcher informed the gathering how Bengalees are being subjugated in Silcher and Manipur area where an open campaign has been launched to oust Bengalees who have lived in this area for decades. Shri Tarapada Biswas (the Asst. 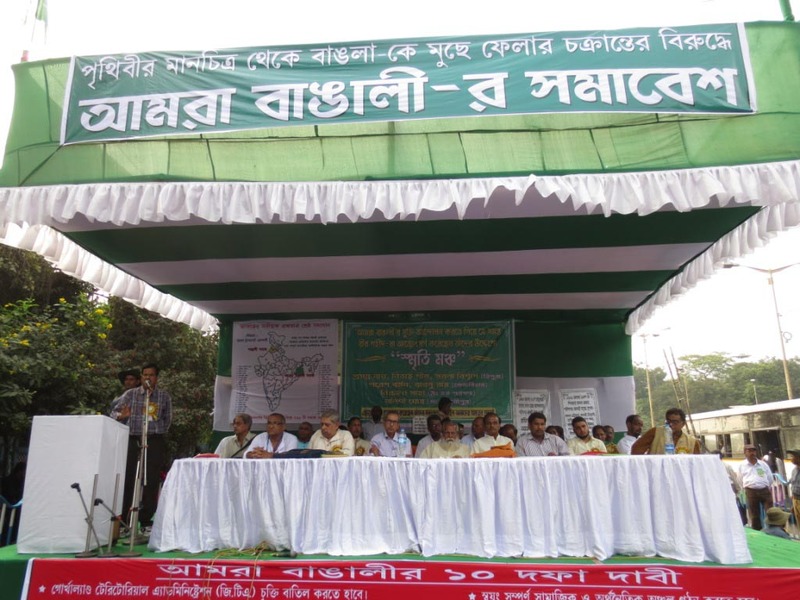 AB Samaj Secretary), Bikash Biswas (Movement Sachiv) spoke very well. Also speakers from Tripura and Manipur were very effective. Sister Sagarika of Bangla Mahila (Women) Samaj was very strong in her elaboration of exploitation by pseudo culture. The Rarh area speakers vividly pointed out how Rarh area is the starting point of human civilization and how the people there are being exploited for ages. They pointed out that Prout's propounder Shri Prabhat Rainjan Sarkar has appealed to humanity at large to help Rarh to come up. But it is clear now that the Rarh itself has to rise up and fight the exploiters. ami ate jogsan korte chai.. plz contact korar moto kono ph no. or address din.. apnader kolkatar office kothai acche?? We are near the last stage of capitalist era. If an impact is created, it will help the suffering humanity. It is the most opportune moment for creating an all-round revolution. This is a new sub-theory under Proutistic theory, the science of dynamics in Prout.